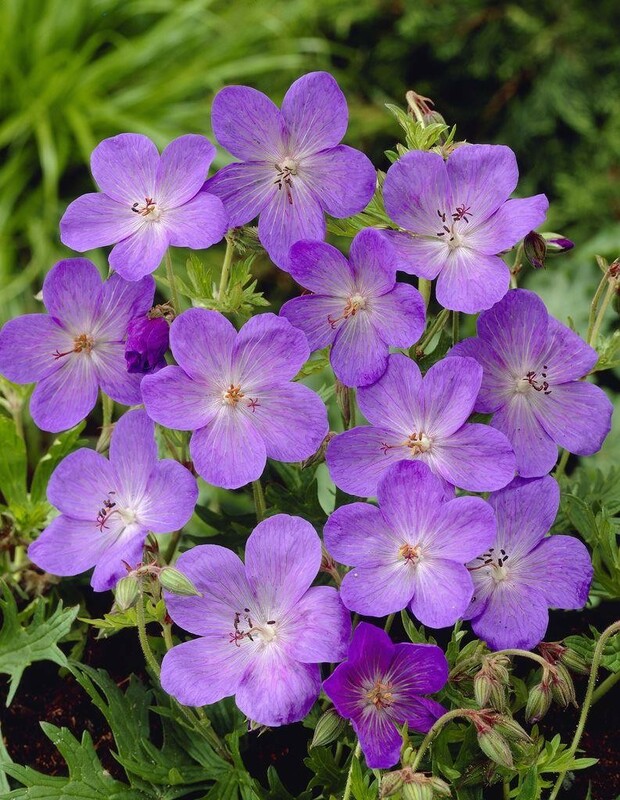 Deep lavender-blue, saucer-shaped, spring and summer flowers and deeply divided, mid-green leaves. The loose clusters of lavender-blue flowers, pink-tinged at the centre, look lovely weaving in and out of the front of a mixed border. 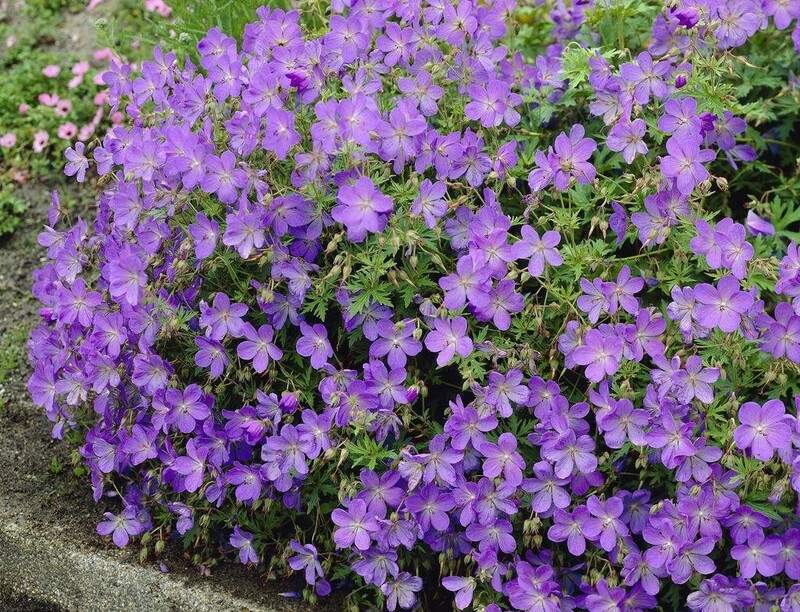 The plant rapidly forms a dense carpet of foliage, valuable for suppressing weeds. Supplied in approx 3 litre containers.